LAUNCH ALERT: Sunday, February 8, 2015 at 18:10 EST (23:10 UTC) a SpaceX Falcon 9, version 1.1 rocket will be launching from the Cape Canaveral Air Force Station (CCAFS), Space Launch Complex 40 (SLC-40 or “SLICK-40”) carrying the Deep Space Climate Observatory (DSCOVR) for the U.S. Air Force, NOAA and NASA. This will be the Falcon 9’s 15th flight “F9-15”, the Falcon 9 version 1.1’s (F9v1.1) 10th flight and the 4th with affixed landing legs. DSCOVR will operate from the L1 Lagrange point roughly 1 million miles from Earth, toward the Sun. Being in the stable L1 point will allow the spacecraft to remain between the Sun and Earth to provide advanced warning of any actions from the Sun fired off in our direction. From that vantage point it will also constantly see Earth’s sunny side to monitor climate conditions. HISTORY IN THE MAKING?! 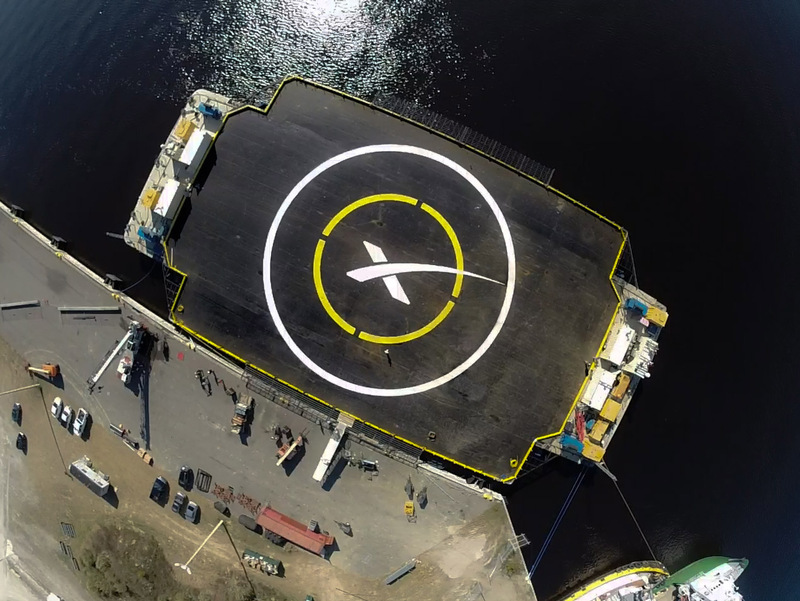 SpaceX has, in the past attempted two vertical soft water landings in the Atlantic with affixed landing legs and by re-firing a single Merlin 1D engine to some success. They also have one near success landing the first stage back on a barge in the Atlantic using the same technique but also adding four hypersonic grid fins in an “X-wing” configuration that deploy at hypersonic speeds to help slow and control the first stage during the descent. Each grid fin moves independently for pitch, yaw and roll. This launch will be the second attempt at landing the first stage back on the Autonomous Spaceport Drone Ship. Here’s a video of the F9R with affixed legs and grid fins during a 1000m test at SpaceX’s proving grounds in McGregor, TX. “Just Read the Instructions” Autonomous Spaceport Drone Ship: was built at the Conrad Shipyard in Morgan City, Louisiana. That’s the same place that NASA’s Pegasus barge is being refitted to support the SLS program. Pegasus carried lots of equipment throughout the years but most famously the space shuttle external fuel tanks from NASA’s Michaud Plant in Louisiana to KSC. The barge is 300 by 100 ft. and can deploy wings that extend the width to 170 ft. It has also been fitted with thrusters repurposed from deep sea oil rigs that are able to hold balance and position to within 3 meters even in storm conditions. Its face is painted black with the SpaceX “X” logo acting as a bull eye. In a tweet that Elon put out on January 23 he lovingly issued the Autonomous Spaceport Drone Ship the name “Just Read the Instructions” and he also alluded to another one being built on the west coast named “Of Course I Still Love You.” I have no idea what that means except for the fact that even in the heat of business and innovation there is always time for a little fun. NOW FOR THE ROCKET: The Falcon 9R v1.1 rocket is a 2-stage partially reusable rocket with future ambitions of becoming fully reusable. 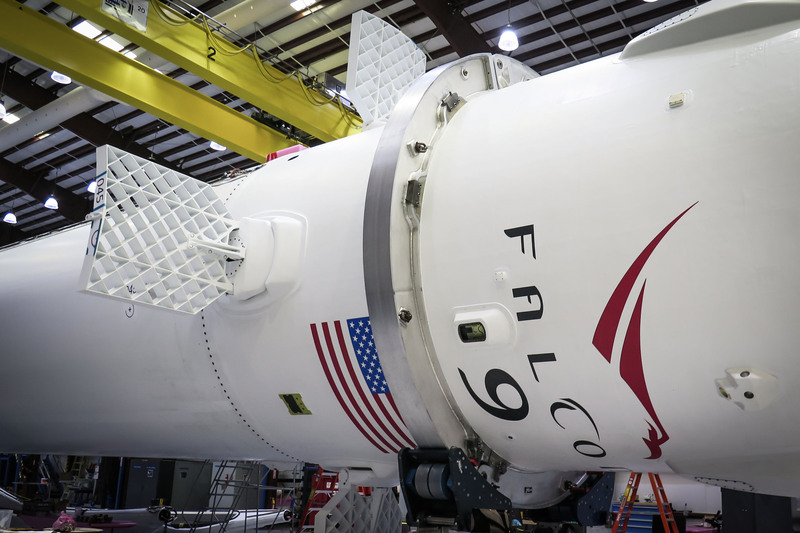 The new version is 3.7 meters (12ft) in diameter and 68.4 meters (224.4 ft.) tall which is much taller than the Falcon 9 v1.0 or “Block 1” in order to house a longer fuel tank. It is also fitted with upgraded and reconfigured Merlin family main engines replacing the 9 Merlin-1C with the more powerful Merlin-1D engines that will provide a thrust of nearly 600,200kg (1.5 million lb.) at sea level which equates to a significant payload capacity increase. Each Merlin-1D provides 147,000 lb. of thrust at sea level or about 55% more thrust than the original 1C engines. The new merlin 1-D engines are also in a circular “octaweb” configuration and are equipped with the capability to throttle between 70% and 100%. 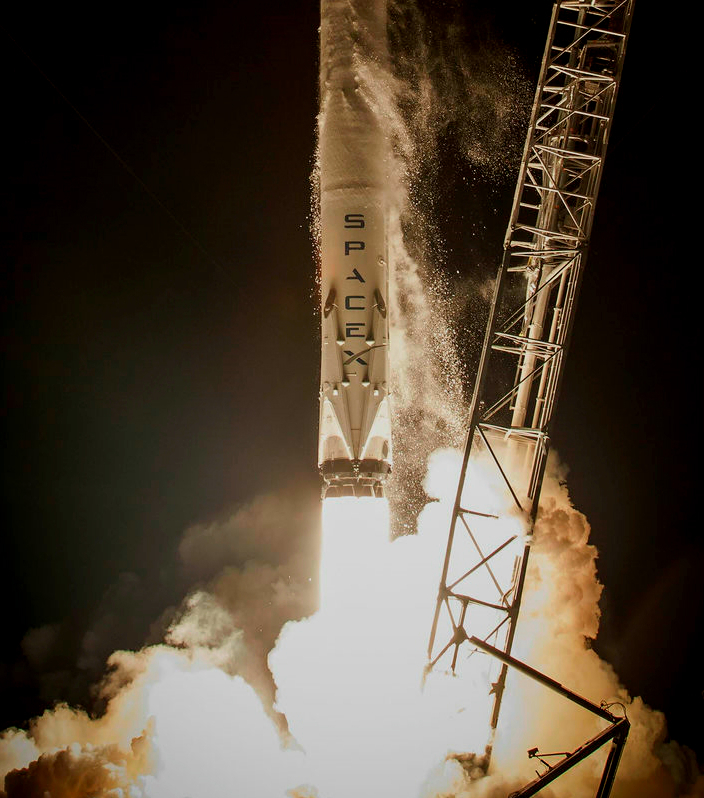 All in all the Falcon 9 v1.1 is able to loft 13,150kg (28,990lb) into low Earth orbit (LEO); 4,850kg (10,690lb) into a geosynchronous transfer orbit (GTO) or 2.9 tons to escape velocity. DRAGON SPACECRAFT = The Dragon spacecraft is about 23.6 ft. (7.2 m) tall with trunk attached and 12 ft. (3.7 m) wide. It’s comprised of two main sections; the pressurized cargo area which can carry 388 cubic ft. of cargo as well as the unpressurized cargo area. The trunk (unpressurized area) carries 494 cubic ft. of cargo as well as the solar arrays. OR: MAIN COMPOSITE PAYLOAD FAIRING = the composite payload fairing is 13.1 meters (43ft) in length and 5.2 meter (17ft) in diameter. SECOND STAGE = is powered by a single Merlin-1D Vacuum engine with aluminum-lithium alloy tanks fueled by liquid oxygen and rocket grade kerosene (LOX/RP-1). This stage can be restarted multiple times to place multiple payloads into desired orbits. For maximum reliability, the second stage has redundant igniter systems and has a burn time of 375 seconds. INTERSTAGE = a composite structure that connects the first stage to the second stage and holds the release and separation system. Its al all pneumatic stage separation system for low shock, highly reliable separation that can be tested on the ground, unlike pyrotechnic systems used on most launch vehicles. FIRST CORE/BOOST STAGE = is powered by nine (9) Merlin-1D engines in their circular “octaweb” configuration with aluminum-lithium alloy tanks fueled by liquid oxygen and rocket grade kerosene (LOX/RP-1). 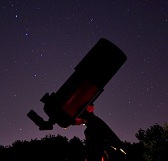 The core stage has a burn time of 180 seconds and is gradually throttled. Its 9 Merlin-1D engine system is designed to lose two engines during flight and still successfully complete its mission. The first stage is fitted with four independently steerable grid fins that are stowed during flight then deploy to help control pitch, yaw and roll during vertical decent. It’s also fitted with four landing legs that are also stowed in flight and deploy before touchdown. Image | This entry was posted in Images, Launches, News, People, Spaceflight Companies & Vehicles, Video and tagged Air Force, Cape Canaveral, DSCOVR, Elon Musk, Falcon 9, Falcon9, Just Read the Instructions, Kennedy Space Center, NASA, NOAA, SpaceX, SpaceX Barge, USAF. Bookmark the permalink. Reblogged this on MY MERE JOURNEY.